Today’s guest on my blog, in her own words, is Veronica Pullen. 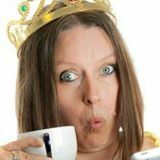 My name is Veronica Pullen, AKA the Social Marketing Queen and I am the go to person if you want to use Facebook and Twitter to position yourself as an expert or go to person in your field, find and engage with your ideal clients, and convert them into warm leads and paying customers. Aspergers is my gift to my clients. The enhanced perception and awareness of the tiniest details, coupled with my ability to interpret your lifestyle goals and ambitions, means I have successfully taken many clients from their place of struggle to build a business that serves their lifestyle vision, rather than steals their time and energy, a business that can be promoted entirely through social media and run from anywhere. I map out an entire information business model with them in a day and then take it right back to the basics, laying it out task by task. Then I support and hold the client accountable as they build their new business one step at a time. My business is called Word of Mouth Local and consists of me, my husband (who was able to leave his full time job in 2013 to join me in the business full time), and our Account Manager, Zoe, who works remotely. Because most of our clients come via my Facebook and Twitter networking and my speaking from stage, my personal brand is the primary face of the business. In 2013, after my husband joined the business, we realised a 20 year dream to move to my favourite place in the world – the Isle of Wight – which is known as the royal isle after Queen Victoria lived here in the 1800s, and now ‘Queen Veronica’ is the latest ‘royal resident’! Hubby and I met on Facebook and married on Twitter in a live feed, with a couple of hundred people following the day including celebrities such as Duncan Bannatyne, Al Murray, Eamonn Holmes, Martin Lewis and The Subways who ‘attended’ from the studio while recording their new album. I started my business in 2010 when I received an email that implied business owners will pay for social media support. At that time I’d been socialising online for 15 years, since losing my driving licence forced me to make the choice of whether to let the lack of independence define me, or to choose to take my social life online. I’d been doing this stuff for fun after working full time in my ‘previous life’, and it was a dream come true to realise I could get paid to do something I loved to do anyway. I serve business owners, often solopreneurs, who want to use Facebook and Twitter to promote their business and get more warm leads and sales, or people who aren’t yet running a business that is aligned with their life purpose. They don’t enjoy what they are doing, and want to build an information business that can be run from anywhere and promoted via social media. I have several online mentoring programs including my Lead Magnet and Trip Wire Academy programs, where I can work with you to create your lead magnet which is a free incentive you offer your website visitors in exchange for their email address so you aren’t reliant on having access to SM accounts, and you aren’t losing visitors who aren’t ready to buy yet. A trip wire is the next step from your lead magnet where you offer your new leads a low cost, no risk way that you can serve them at a deeper level. Frequently this becomes your first information product which you can also sell at a higher investment elsewhere on your website. My Social Marketing Profits Blueprint™ mentoring program is my flagship program where you will discover the 8 steps you must apply all of the time to consistently generate new opt ins and paying customers from your social marketing. I also offer VIP Days where we can map out your new info business model, and my 6 month VIP Mastermind group to work with a committed team of information business owners at a deep, intensive level. The things I love best about working for myself are the ability to write my own rules. Because of the RA, sometimes I get fatigued and need to sleep in longer. So I have set up my calendar so nobody can book an appointment with me prior to 11am so I have the opportunity to lie in if I need to. The surprises have been how success feels effortless when your business in aligned with your soul. I ran a bookkeeping business 10 years ago and every hour felt like work. Yet, for the past 4 years, every minute of every day is just me being authentic and doing what I love. The shocks are how you don’t need to work yourself into the ground to be successful. When I was younger, and totally living in my ego, I used to think the more hours I worked, the better I was as a person, and the richer I would be. All that happened was that I made myself ill and went bankrupt! Now, the opposite is true, my health needs come first, but because I prioritise me, I’ve noticed a pattern that when I take time for me, I feel great and I’m earning more than ever! Recently I’ve discovered that every time I leave the office to spend time on my ‘royal isle’, when I get back and check my emails, the amount I spent while I was out has dropped into my bank account during that period of time. It’s happening too often to be a coincidence. Business ownership is a constant learning journey. I’ve invested £30000+ in working with mentors, and I grow as a person and a business owner each month as a result.I’m most looking forward to supporting even more people to grow their business and get social marketing working profitably for them. If you’re not getting great results from Facebook and Twitter and want to discover why you’re not getting new leads and sales on a daily basis, head over to my website and download my free eBook “8 Simple Steps to Profitable Social Marketing” or send me a message via the website and tell me what your ideal lifestyle looks like, and where you’re at right now, and let’s have a chat to see how I can help you to bridge that gap. Veronica is a member of my Coaching Club 100. Join during August and save 50%. Swell the ranks of our fabulous group of women for a very affordable £100 a month. Prices rise on 1st September 2014 so now’s the time to join.